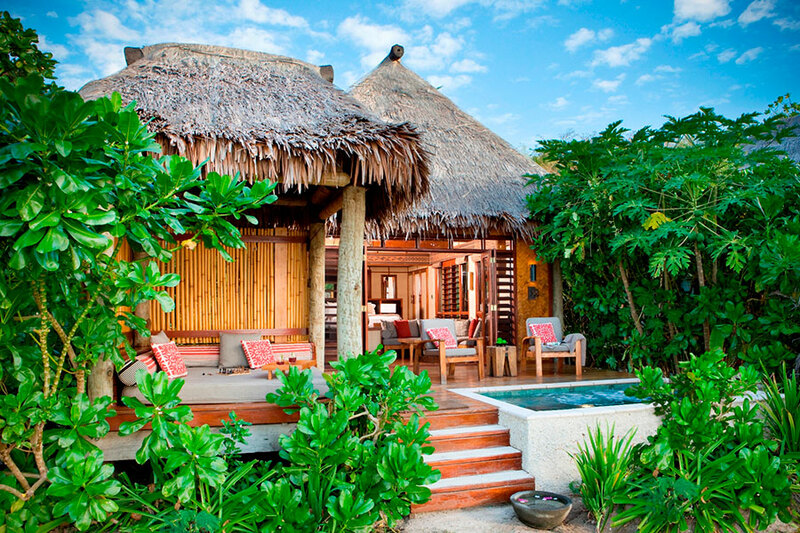 This Fiji Overwater Bungalow Honeymoon was designed for a honeymoon couple from Scottsdale, Arizona. 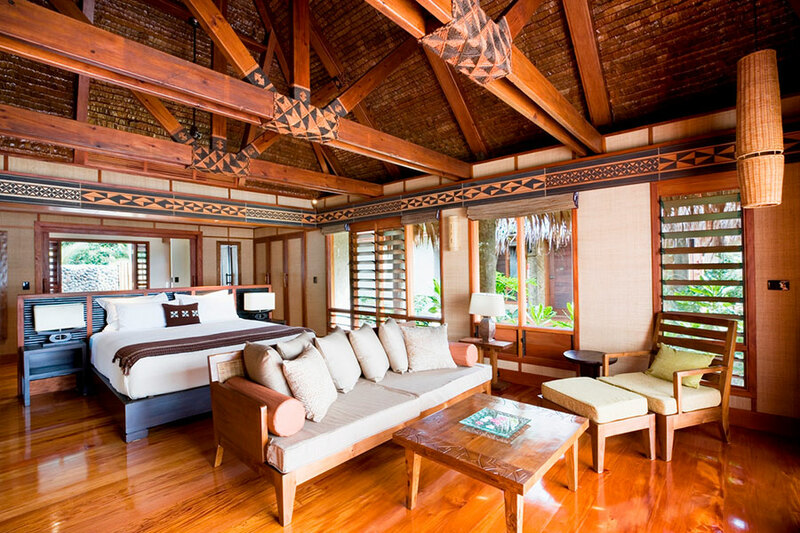 They wanted a romantic island getaway, so we sent them to Fiji’s Likuliku Lagoon Resort—a favorite for our clients! Likuliku Lagoon Resort is the only Fiji resort with overwater bungalows, and it always seems to exceed our clients’ loftiest expectations. They arrived in the early morning at Nadi Airport, where they were greeted with a warm Fijian welcome and shell leis. Then they boarded a helicopter and made a grand entrance to Likuliku Lagoon Resort. They were in awe as they first saw the resort from the air, with the azure waters, turquoise lagoon, and sandy white beach forming a breathtaking view below them. Upon arrival at the resort, they were welcomed with refreshing tropical drinks and cool towels to soothe them after their long journey. 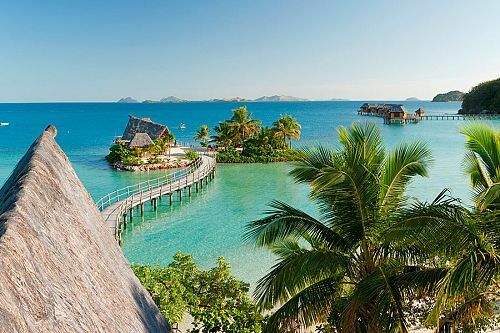 Their Fiji Overwater Bungalow Honeymoon was a dream. They spent their first 5 nights in a beachfront bure with stunning views of the ocean and great beach access. 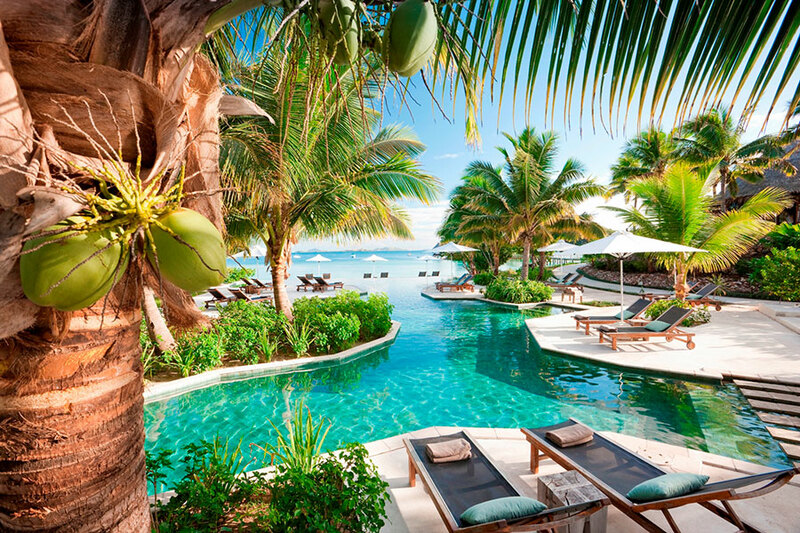 They were free to lounge on the beach or in the fabulous infinity pool, and they also had complimentary use of snorkeling gear, stand-up paddleboards, catamarans, and more whenever they wanted some adventure. 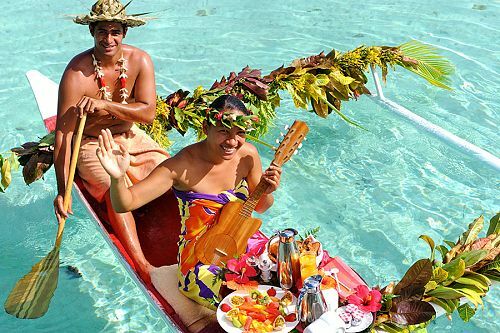 Heavenly meals consisting of innovative South Pacific and fusion cuisine were included in their stay. Then for their Fiji Overwater Bungalow Honeymoon, they upgraded to an overwater bungalow for the final 2 nights of their stay. It was truly a magical experience: a bright, spacious bure with a private deck to soak up the sun, surrounded by gorgeous Fijian waters. They had their own ladder leading directly in the ocean, so they could slip in for a swim or snorkel whenever they pleased. 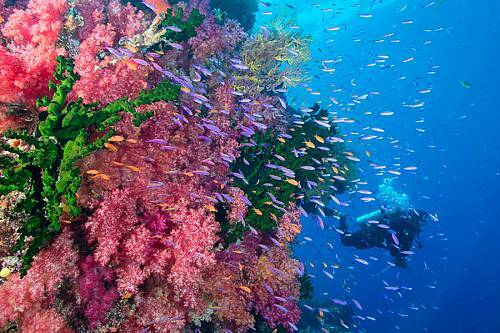 They even had a glass floor so they could see the colorful corals and fish below them! After a week in paradise, their Fiji Overwater Bungalow Honeymoon came to an end. They enjoyed another helicopter transfer to Nadi Airport, and from there back to the States. 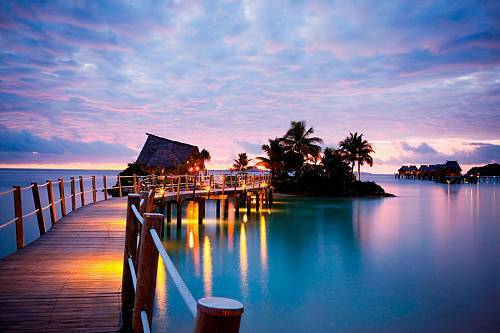 Welcome to your Fiji honeymoon! 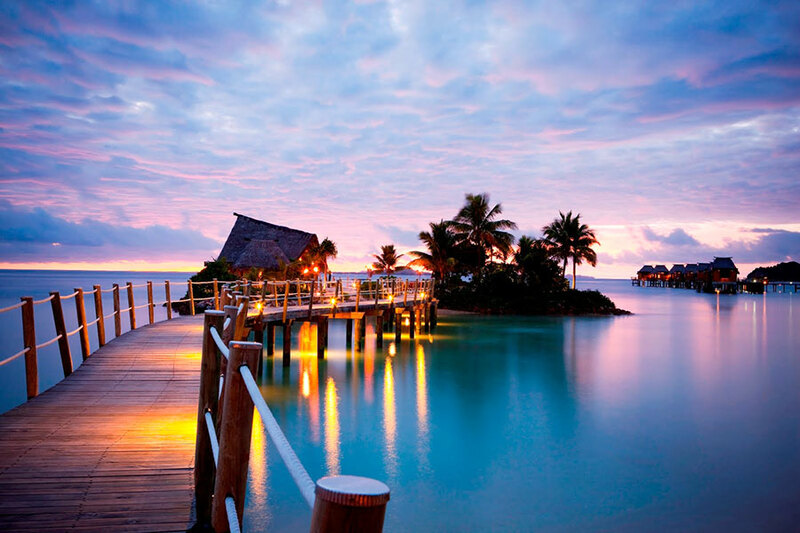 You will arrive on an early morning flight into Nadi, the main international gateway in Fiji. Then, board an exclusive helicopter transfer to Likuliku Lagoon Resort. 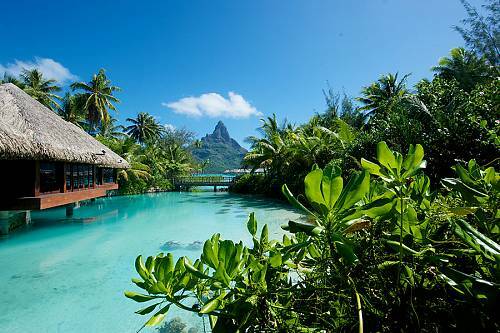 Enjoy a breathtaking view as the shimmering blue lagoon opens up beneath you. 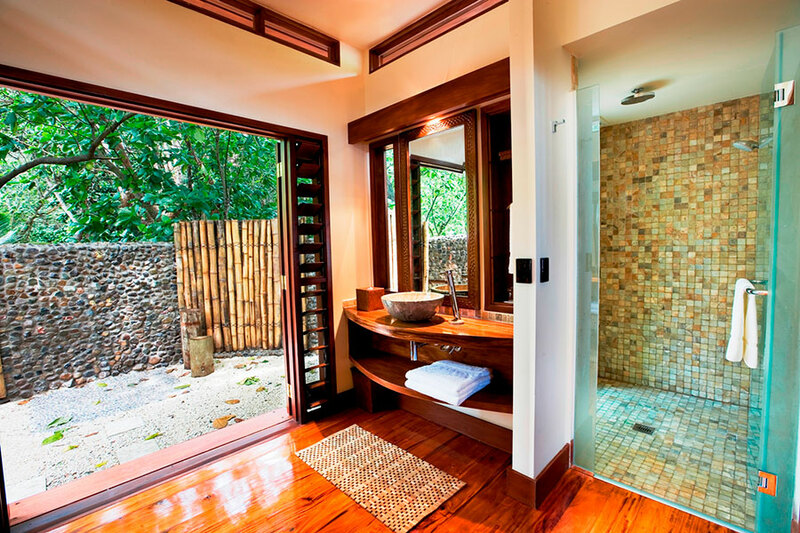 Spend your first 5 nights in a fabulous beachfront bure. Only a few steps from the beach and crystal clear lagoon, the beachfront bures offer a secluded haven of relaxation and privacy. All meals are included during your stay. Your days are yours to enjoy at your leisure…fill them with activities or unwind and do nothing at all. Snorkel in the coral reef, stroll through the nature trails for spectacular views, or pamper yourself at the incredible Likuliku spa. 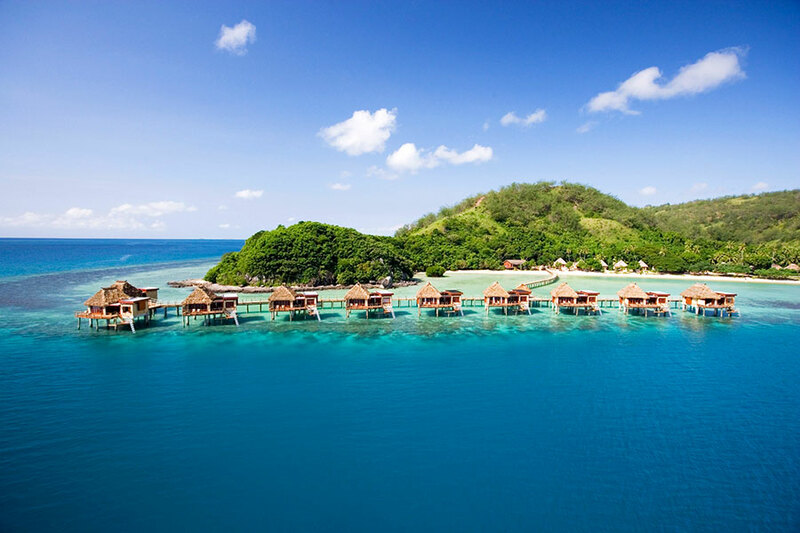 You can also immerse yourself in Polynesian culture with a visit to the local village. Learn about the ancient sites of Likuliku, including the old village of Yaro and Potters Cave, Vatu Tagi (Weeping Rock), Vatu Tabu (Sacred Wishing Rock), and more. Today, your honeymoon will become even more magical! 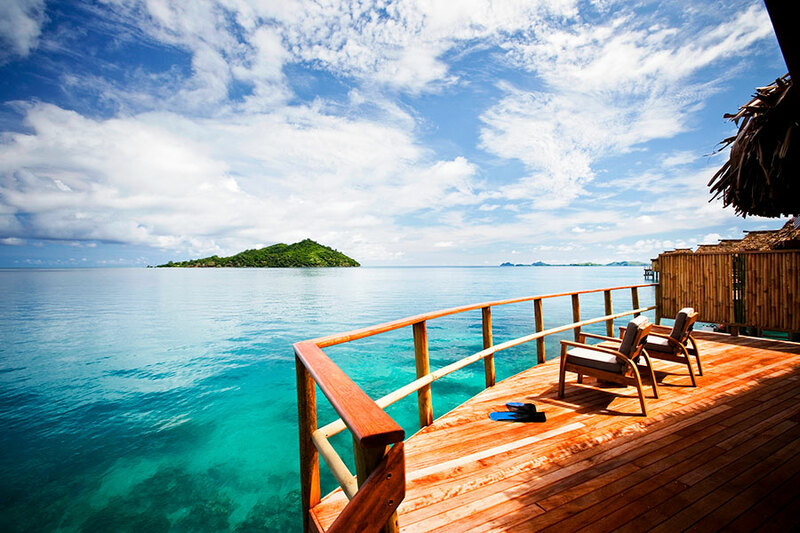 Transfer to an overwater bungalow, your home for the next 2 nights. Likuliku is the only Fiji resort with overwater bungalows, which feature private ladder access to your own piece of ocean, a magnificent standalone bath tub, and a glass floor so you can see colorful fish swimming below. 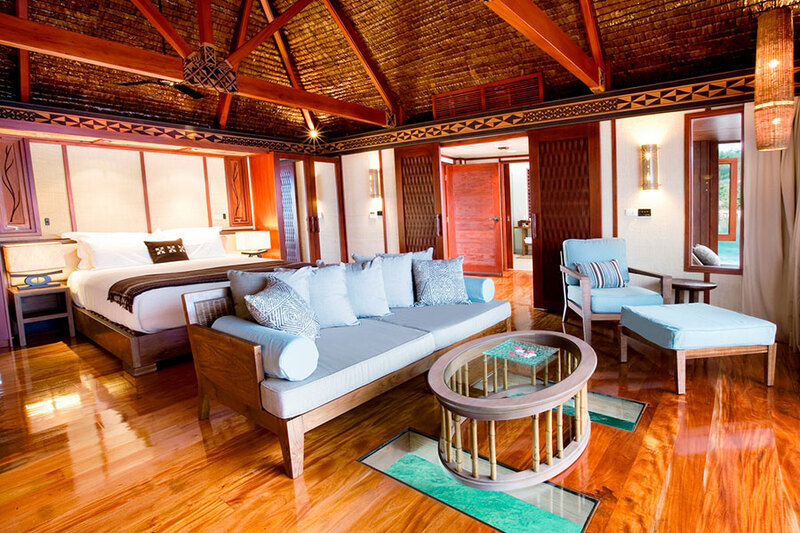 Spend the next few days feeling utterly pampered in your fabulous overwater bungalow! Time to say goodbye to your magical island getaway! Enjoy one last beautiful look at Likuliku from the sky as you return to the mainland via helicopter. Here, you’ll catch your flight back to Los Angeles, departing late in the evening and arriving the same day. While in Fiji, you must sample one of their local dishes, kokoda (pronounced ko-kon-da)! It’s a delicious fresh fish salad with vegetables and coconut milk.